This post is part of our blog series that announces the publication of selected new books in African American History and African Diaspora Studies. The End of Policing was recently published by Verso. 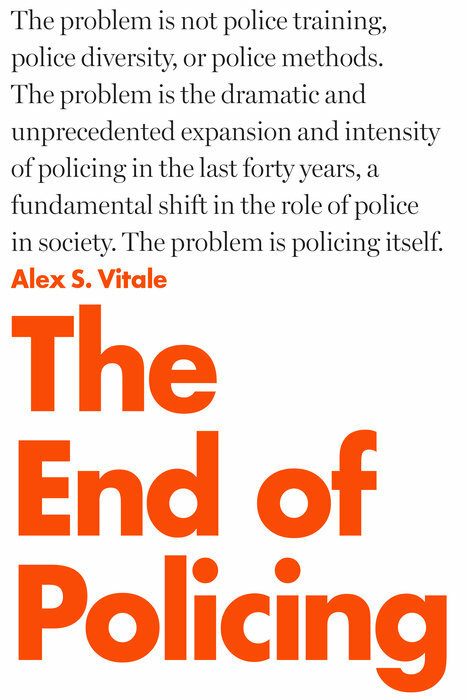 The author of The End of Policing is Alex S. Vitale. Professor Vitale is a Professor of Sociology and coordinator of the Policing and Social Justice Project at Brooklyn College. He has spent the last 25 years writing about policing and consults both police departments and human rights organizations internationally. He also serves on the New York State Advisory Committee of the US Commission on Civil Rights. Prof. Vitale is the author of City of Disorder: How the Quality of Life Campaign Transformed New York Politics and the The End of Policing. 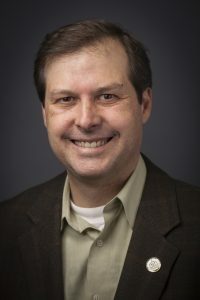 His academic writings on policing have appeared in Policing and Society, Police Practice and Research, Mobilization, and Contemporary Sociology. He is also a frequent essayist, whose writings have appeared in the NY Daily News, NY Times, The Nation, Gotham Gazette, and The New Inquiry. Professor Vitale is originally from Houston, Texas and received his BA in Cultural Anthropology and Urban Studies from Hampshire College and his Ph.D. in Sociology from the CUNY Graduate Center. Follow him on Twitter @avitale. Recent years have seen an explosion of protest and concern about police brutality and repression—especially after long-held grievances in Ferguson, Missouri, erupted in months of violent protest following the police killing of Michael Brown. Much of the conversation has focused on calls for enhancing police accountability, increasing police diversity, improving police training, and emphasizing community policing. Unfortunately, none of these is likely to produce results, because they fail to get at the core of the problem. The problem is policing itself—the dramatic expansion of the police role over the last forty years. This book attempts to jog public discussion of policing by revealing the tainted origins of modern policing as a tool of social control and demonstrating how the expanded role of the police is inconsistent with community empowerment, social justice—even public safety. Drawing on first-hand research from across the globe, Alex Vitale shows how the implementation of alternatives to policing, like drug legalization, regulation, and harm reduction instead of the policing of drugs, has led to reductions in crime, spending, and injustice. Julie Hawks: Books have creation stories. Please share with us the creation story of your book—those experiences, those factors, those revelations that caused you to research this specific area and produce this unique book. Alex S. Vitale: The idea behind The End of Policing was rooted in my skepticism about “community policing” as a reform for abusive and racially discriminatory policing. Over the last generation there have been numerous short-term and episodic movements against individual acts of police misconduct. Often those movements call for prosecution of the officers involved and a set of often vague reforms to police such as hiring more black officers, improvements to training, and supporting more community policing. My previous book, City of Disorder, looked at the relationship between community policing and the Broken Windows Theory. I found that when the police departments organize the community as part of that process they get a very skewed set of demands that often exclude the interests of young people, immigrants, and people who are homeless or have disabilities. The community that does show up tends to call for increased police enforcement of minor nuisance behavior and the police then use this to justify more heavy handed and invasive policing that often targets the most vulnerable members of the community. In addition, community policing tends to require that community members frame all their neighborhood problems in such a way that they can be “solved” by police. Just before the deaths of Eric Garner and Mike Brown I reached an agreement with Verso Press to write the book. After those incidents I decided to put the book on hold temporarily while I attempted to participate in the real time conversation happening about policing. Once again I was struck by how thin the police reforms being proposed by many activists, academics, and policy makers were. Over the next 2 years I had a chance to try out and refine some of my ideas while collecting more material for the book. I was also able to build a broader audience for the book through my presence in newspapers, magazines, and social media. I strongly believe that academic research need to find ways to bring their research and experience to bear on public conversations about important public policy issues such as policing and public safety. In these times of deep political polarization in which the neutral presentation of facts seem to have limited relevance, it’s imperative that we engage the political process in more meaningful ways. I hope this book will do that.